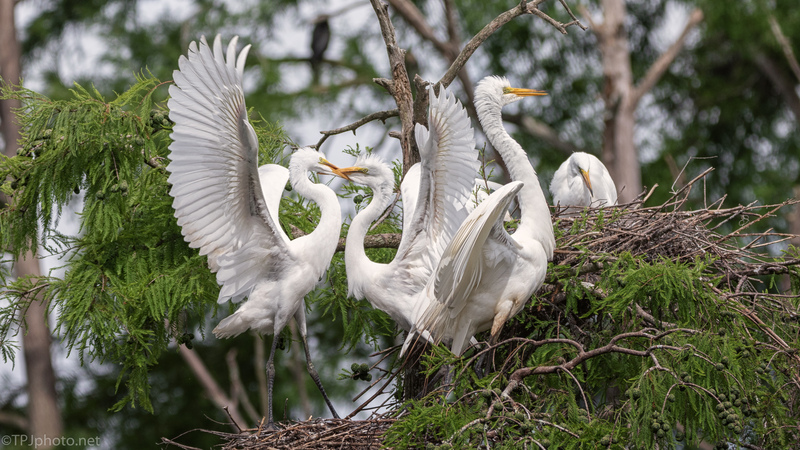 This is a capture of an ordinary day in an Egret rookery. At any given time the birds wake, fly back in, or just start an argument. In general, chaos.